Robert Brindley is a very successful professional artist whose highly prized watercolours, oils and pastels are inspired by the challenge of capturing light and atmosphere in a modern impressionistic style. He travels widely around the UK and abroad to paint but is primarily inspired by the landscapes and coastal scenery around his North Yorkshire home. He is a member of the RSMA, and exhibits at The Mall Galleries with the Pure Watercolour Society and others. 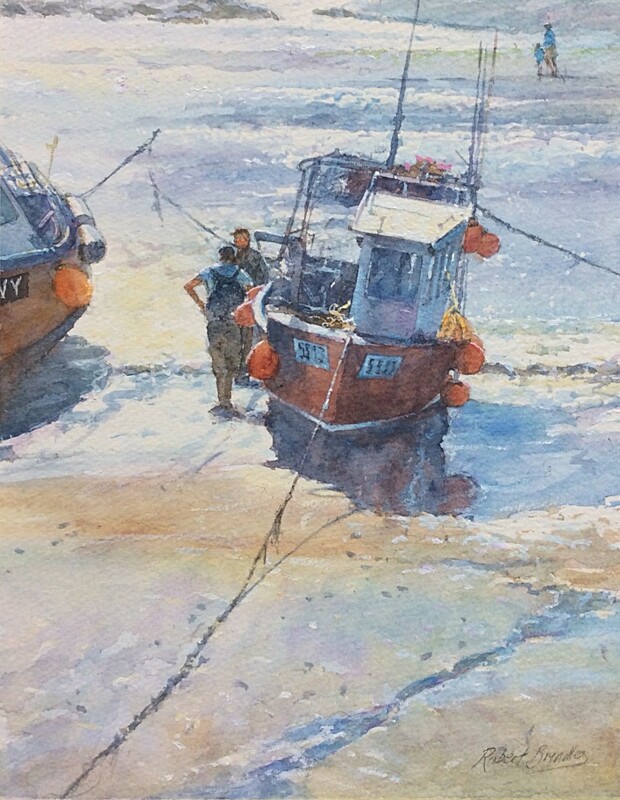 Robert holds his own annual exhibition in Whitby in late May and is a member of the Fylingdales Group of Artists. Robert is the author of three extremely helpful and well-received books on painting in watercolours, oils and pastels and has made four DVDs on painting in watercolours and oils which have received wide acclaim. His most recent DVD was filmed around Staithes and Whitby. Robert is a very popular tutor and demonstrator giving help, advice and inspiration to his fellow artists whatever their level of expertise. He is an immensely popular tutor so we anticipate a high demand for places. Early booking is recommended just in case!